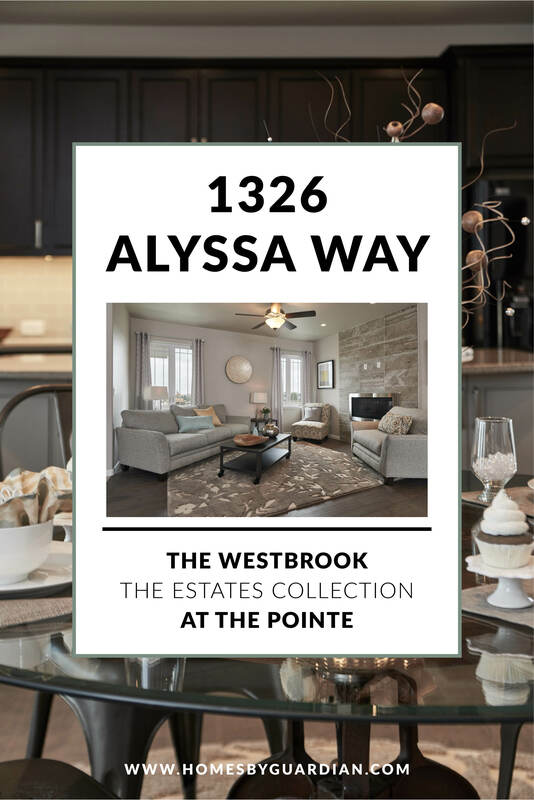 Among the many floor plans that home buyers can choose from at The Estates at The Pointe, The Westbrook is one of the best. Choosing to go with a new home from Homes by Guardian not only gives you options, but it gives you the opportunity to find the perfect home in the perfect neighborhood, for the price you’ve been looking for. The Westbrook is a home that offers modern amenities, an open floor plan, and plenty of space for a growing family. Take a look at everything the Westbrook has to offer. What’s not to say about this beautiful home? This 3,484 square-foot, ranch-style home is a great option for a family looking for a new home in Cheyenne. With five bedrooms, three bathrooms, plenty of storage space and a three-car garage, there are plenty of reasons to fall in love with this new build home. Take a look at the features and amenities below. 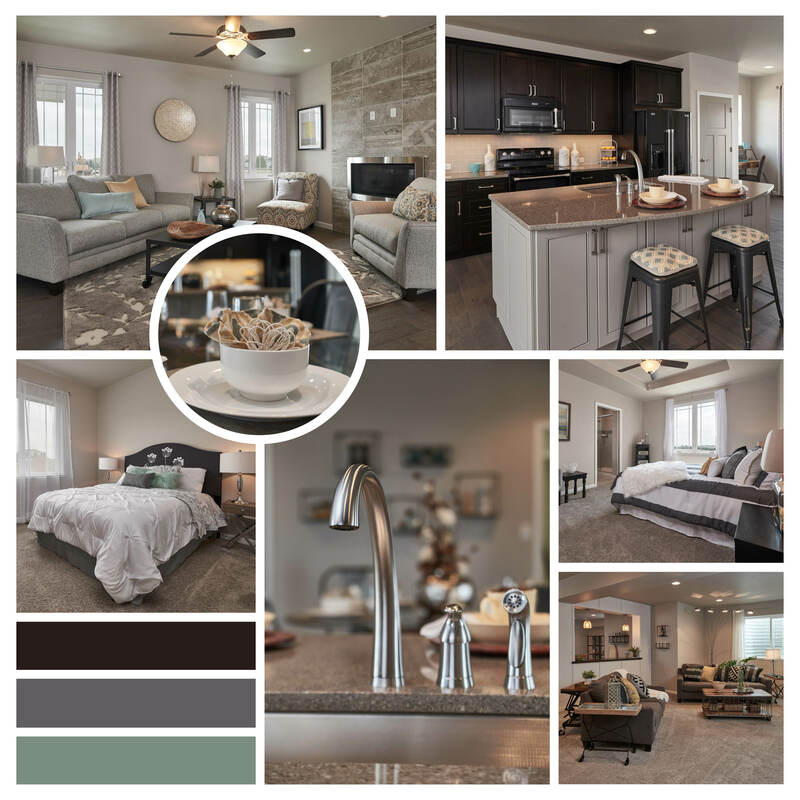 On the main floor of the Westbrook new construction home you will find two bedrooms, one bathroom, and the master suite in addition to the open-floor concept living room and kitchen, dining space, and office nook. This beautiful home features dark cabinets, black kitchen appliances, a floor-to-ceiling tiled gas fireplace, granite countertops, and a subway tile backsplash. Homeowners will also enjoy the large kitchen island with a breakfast bar for more dining space.The main floor dining and living room are full of light and space for the whole family to enjoy. Each bedroom on the main floor features a large closet with sliding doors and easy access to the bathroom. In the main floor bathroom, you’ll find a large, tiled shower and flooring with a granite countertop sink and dark cabinetry. Also located on the main floor is the master suite. This bedroom is quite large, offering a space of 13×12. With a large window, this room gets plenty of natural light and also features a tray ceiling as well. In the master bathroom, you’ll find a double-vanity sink. A large shower with a seat, a water closet and a linen closet for even more bathroom storage space. The master bathroom is connected to the spacious walk-in closet. The closet space is full of hanging room, as well as built-in shelving units. Another great feature in the closet is a small window that lets in natural light. Finally, on the main floor, you have your mudroom that doubles as a laundry room. It also has more storage and connects to the garage. While the main floor is a great introduction to the size and feel of this new home, there is yet another impressive floor explore. As you head downstairs, you quickly learn how spacious this area is. With a bar area for seating and dining in the very middle of the room, you can easily divide the space into two areas for entertaining. There’s room for a dining table or even a pool table and on the other side of the basement space, you can have another family area for entertaining as well. In addition to this, there is another large bathroom with a large tiled shower, granite counter sink and tiled flooring as well. There’s a small linen closet just outside the bathroom and additional large bedroom. This room is large enough to be a bedroom with an office in it as well. One of the best parts about this room is that it has two closets. With this large space and ample storage, you won’t want to leave your home. If you’re a homebuyer currently looking for a new home in Cheyenne, call our home builders to get more information on the Westbrook, or anyone of out new constructions homes today. 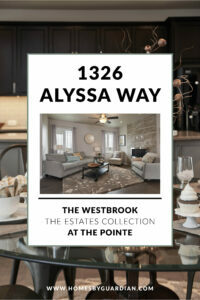 You can also take a virtual tour of The Westbrook here.